Since 2013 we’ve been waiting with baited breath for our good friend from Tel Aviv via Philadelphia to come back to Harry’s Pizzeria and cook dinner from his new cookbook. Well that day has arrived, as it was officially published and lauded by the New York Times as of October 6! 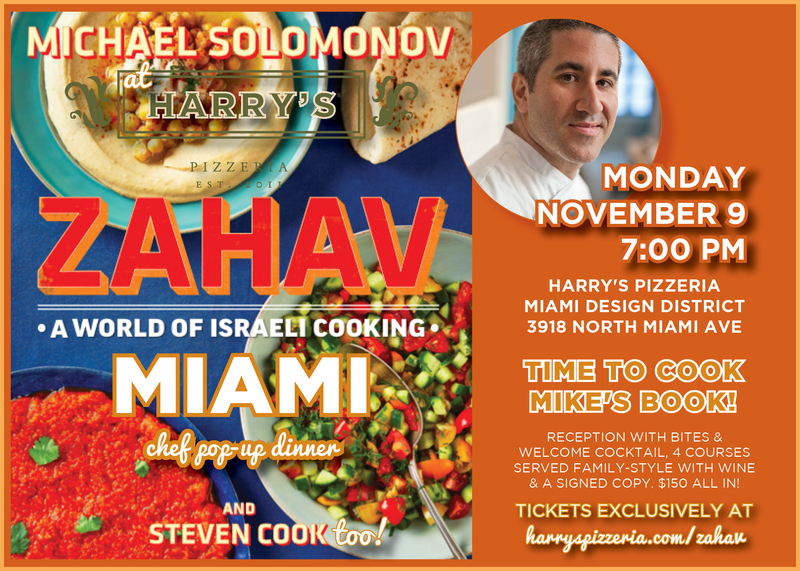 We are so excited to announce that Zahav Pizzeria is BACK on Monday, November 9 at 7PM at Harry’s Pizzeria in Miami’s Design District with Mike Solomonov, James Beard Award-winning chef and co-owner of Philadelphia’s Zahav restaurant, Federal Donuts, Percy Street Barbecue, Dizengoff, and Abe & Fisher… and now COOKBOOK AUTHOR! $150 includes it all: welcome cocktail reception, four courses and free-flowing wines and a signed copy of the cookbook, tax and gratuity. Ever since he opened Zahav in 2008, Mike has been turning heads with his original interpretations of modern Israeli cuisine, attracting notice from the New York Times, Bon Appétit, (“an utter and total revelation”), and Eater (“Zahav defines Israeli cooking in America”). 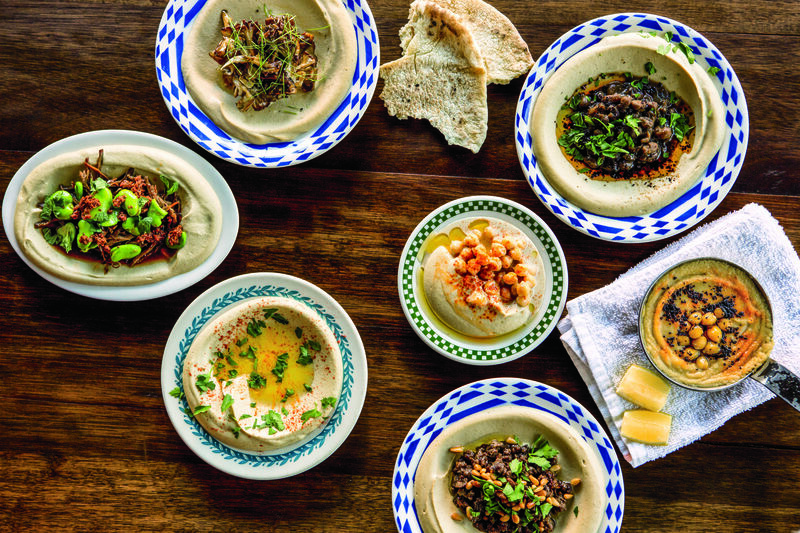 Zahav showcases the melting-pot cooking of Israel, especially the influences of the Middle East, North Africa, the Mediterranean, and Eastern Europe. His food includes little dishes called mezze, such as the restaurant’s insanely popular fried cauliflower; a hummus so ethereal that it put Zahav on the culinary map; and a pink lentil soup with lamb meatballs that one critic called “Jerusalem in a bowl.” It also includes a majestic dome of Persian wedding rice and a whole roasted lamb shoulder with pomegranate and chickpeas that’s a celebration in itself. As he makes the rounds across America (and beyond! ), Mike makes one of his first stops Miami to play with us… again! We are so lucky. Menu coming soon! Billy Harris, eat your hummus heart out! ← Harry’s Pizzeria® is Fired Up in Coconut Grove!